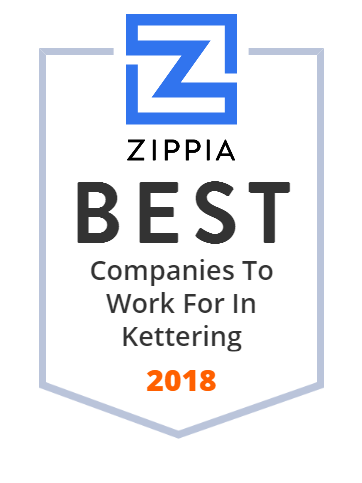 We hand-curated a list of the best companies to work for headquartered in and around Kettering, OH using data on salaries, company financial health, and employee diversity. Flagel Huber Flagel employs more than 30 certified public accountants (CPAs) with more than 600 years of combined experience. This expertise, combined with their staunch reputation and a team of reliable professionals committed to the highest standards of excellence, has been the cornerstone in building and sustaining long-lasting client relationships. Additionally, this firm continually strives to recruit the best and brightest minds to their ranks, bringing with them an enthusiastic commitment to the profession and a modern perspective on current trends. Cassano's Pizza King is a locally-owned and operated company that serves signature pizzas, famous subs, calzones and cassinis, pastas, salads, and other Italian food in the Dayton, OH, area. The first Cassano's pizzeria was opened in 1953 in Kettering, OH, by Vic Cassano and his mother-in-law Mom Donisi. Cassano's continues to provide excellent customer service and offer quality foods for the community. NCR Country Club is a renowned facility, located in Kettering, Ohio, that has two *** Wilson signature golf courses - the South Course and the North Course. Clients can have golf outings at NCR County Club and its professional staff take care of the complete tournament organization, post-event scoring and wrap up, special on-course contests, and much more. Other amenities at NCR County Club include a pool, a fitness center, a practice facility, and a locker room. Crown Packaging supplies corrugated boxes and packaging supplies as well as provides contract packaging services to its customer base. Crown specializes in packaging service parts for the automotive aftermarket and contracts, also electronics, appliances, retail and industrial markets. It has experience in providing complete on-site packaging operations. Crown Packaging has 275 employees and its primary business is located in Dayton, Ohio (Kettering) and its additional locations are in Memphis, TN; Troy, OH; and Loudon, TN.